There have always been two dominant races on the Earth. The first were the humans and the second were abnormals a group of cryptids, mutants, and people with extraordinary abilities. The only thing that keeps the balance between the two races is a network of safe havens called the Sanctuary. They keep the abnormals a secret from the human race and give them a place to stay, a home, somewhere they can learn to control their abilities or hide from those that would call them monsters. With the destruction of the abnormals underground City Hollow Earth however this balance is beginning to tip and the Sanctuary Network fears a war will break out between humans and abnormals if something isn't done. For this I Helen Magnus am reaching out to every corner of the Earth for help. You are about to enter a world you didn't think was possible. A world of infinite wonder. 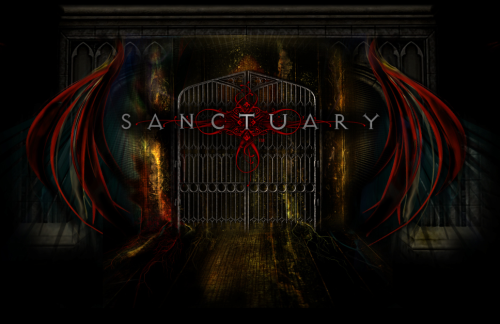 Welcome to the Sanctuary. Sides are being made which side will you chose? Do you wish to aid the Sanctuary in keeping the secrets, keeping the peace and protecting the two races? Do you wish to use this shift in power as a means to feed the fires to a war and take down the Sanctuary Network once and for all? Perhaps you stand in the middle not even knowing the Sanctuary exists, that abnormals are nothing more than the fairy-tales your parents told you as a child or maybe you are an abnormal who grew up thinking you were alone in this world. The only freak, unwanted and afraid. No matter where you stand in the world your role is vital to the fate of the Sanctuary. The only question you must ask yourself now is, are you ready to face the truth?